This article by David Bacon is re-posted from ZNet. 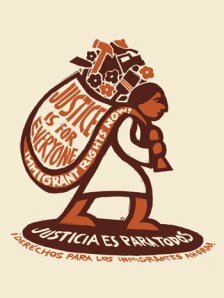 The Dignity Campaign is a loose network of more than forty immigrant rights and community organizations, unions and churches that has crafted an immigration reform proposal based on “human, labor and civil rights for all.” (Full disclosure: I am an active supporter of the Dignity Campaign.) The campaign’s member organizations support it as an alternative to the political strategy behind the tradeoff because of what they call the bitter impact of earlier tradeoffs over the last thirty years. In Tucson, Arizona, the Coalición de Derechos Humanos calls comprehensive immigration reform, the shorthand name for the tradeoff strategy, “primarily a vague promise used to attract immigrant and Latino voters, [while] border communities have suffered the costs of irresponsible and brutal enforcement-only policies, resulting in death and violence.” A recent study by the Migration Policy Institute found that the federal government spends more today on border and immigration enforcement than on all other law enforcement agencies combined. Isabel Garcia is a public defender, and every day her fellow lawyers defend dozens of people brought into Tucson’s Operation Streamline courtroom in chains, where they’re sentenced to prison terms for crossing the border. 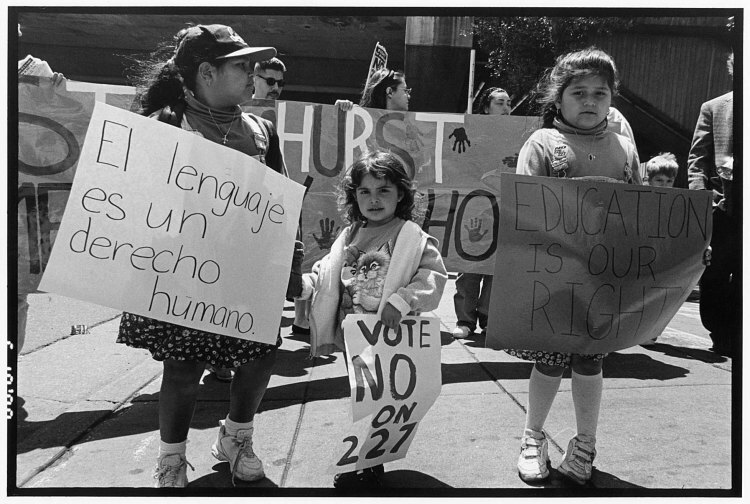 “That courtroom should be closed,” she says, “and the money redirected to healthcare and education, which our state is now busy cutting.” Derechos Humanos wrote that demand into the Dignity Campaign proposal too. Galedo and Garcia first saw the tradeoff in 1986, in the Immigration Reform and Control Act. That law, signed by President Ronald Reagan, set up an amnesty that gave legal status relatively quickly to almost 3 million people. 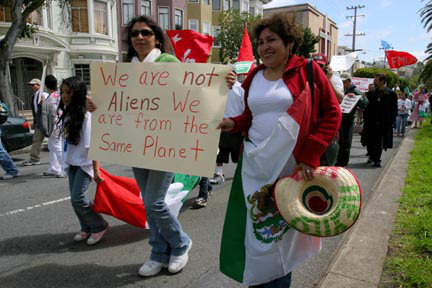 Nevertheless, they and other immigration activists of the day, including Bert Corona—widely recognized as the father of the modern immigrant rights movement—campaigned against it. The bill also contained employer sanctions, a provision that made it illegal for employers to hire undocumented workers, and expanded a limited guest worker program into today’s H-2A visa scheme. The Obama proposal, like most CIR bills of the last decade, pits people applying for family visas against those needing legalization. It proposes that the undocumented “must wait until the existing legal immigration backlogs are cleared before getting in line to apply for lawful permanent residency (i.e. a ‘green card’), and ultimately United States citizenship.” Today some applicants in Mexico City receiving family reunification visas applied over twenty years ago. In Manila the line is even longer. But no CIR proposal would issue more family visas to clear that backlog, while on the other hand they increase visas for guest workers. The groups that support the Dignity Campaign view the CIR proposals as products of an insider process in Washington, not the result of consultation with grassroots immigrant communities, unions and churches. “Now that there finally appears to be the political will to address immigration, it is critical that the voices of these communities be central in the debate,” Garcia urges. Chandler says a movement-building strategy is necessary to produce real change. “It was the civil rights movement that ended the old bracero guest worker program, and won the 1965 immigration reform that repealed discriminatory quotas and set up the family reunification system,” he emphasizes.